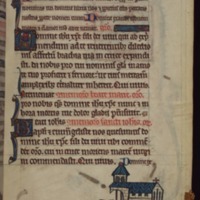 Within a series of images that depict animals playing music at the funeral of Reynard The Fox, this manuscript shows a rabbit ringing church bells. The image supports claims that church bells were rung at funerals in medieval times. 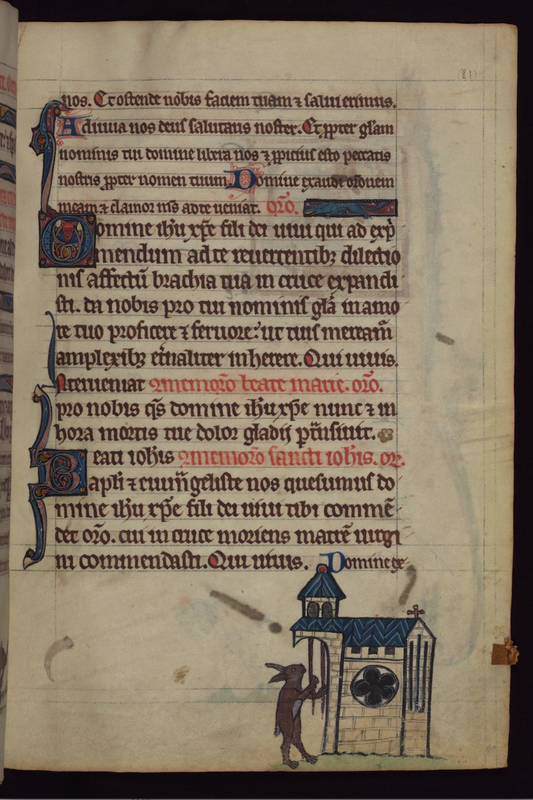 “Rabbit tolling Church Bells (Walters MS W.102, Book of Hours),” Medieval London, accessed April 22, 2019, http://medievallondon.ace.fordham.edu/items/show/46.